Copyright Ogatsu School Restoration Project All Rights Reserved. 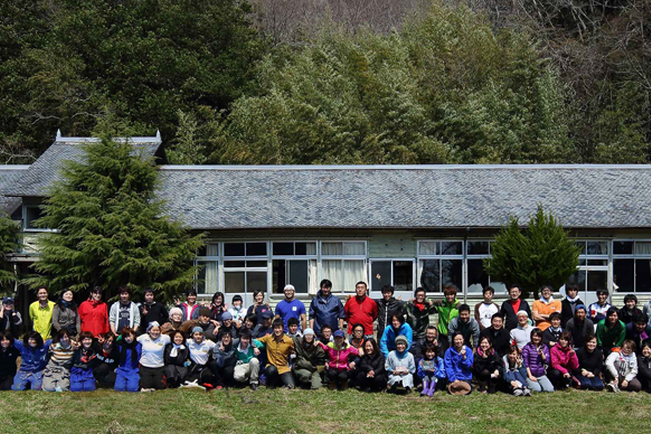 The "Ogatsu School Restoration Project" has been promoted since April in 2013 by the "Nukumori Executive Committee (Nukumori Jikko Iinkai)" of Ogatsu Town, Ishinomaki City, Miyagi Prefecture, Japan. The Committee plans to restore and renovate the former Ogatsu municipal Kuwahama Elementary School (built 91 years ago and closed down in 2002), which miraculously remained standing after the devastating Great East Japan Earthquake, and aims to reopen the school as a multiple learning facility by the end of 2014. This project has been supported by more than 2,300 volunteers nationwide, as well as worldwide, aiming to receive global attention through learning by revitalizing a closed school as a symbol of an aging population, lower birthrate and depopulation, and to create a popular "town" by combining lodging accommodation, a restaurant and community space. Conceived in Ogatsu -- a town with the recent experience of earthquake and tsunami, but with rich nature surrounded closely by both mountains and sea, where water originating in the mountains flows into the sea, a way of life that is connected to nature, a cultural heritage and resilient people boldly facing the future -- the learning facility will educate future generations as an " Sustainability Learning Center," bridging people, nature and the world, along with the world's foremost professionals in various fields.